With programmes that are diverse, imaginative and inspiring, Hebrides Ensemble has established itself as one of the foremost chamber music collectives in the UK. Co-founded and led by its artistic director, the cellist and conductor William Conway, the Ensemble is renowned for its fresh and intelligent approach to programming, which places contemporary music at the heart of a diverse range of repertoire. This includes everything from solo and chamber music, to opera and music theatre – and much more besides. By combining new commissions (of which there have been more than 70 since its inception in 1991) with historical repertoire, Hebrides Ensemble breathes new life into familiar works, often revealing curious connections between seemingly disparate artworks and encouraging its audiences to approach traditional pieces with fresh ears. The Ensemble’s flexibility is its strength, drawing its performers from a pool of the most outstanding musicians in the UK and beyond, ensuring the exceptional performance standards for which it has become renowned. This is an international ensemble with its roots in Scottish culture, a collective committed to supporting the next generation of performers and composers, particularly those with links to Scotland. In recent years it has commissioned and premiered new works from Sally Beamish, John Bevan Baker, Lyell Cresswell, Haflidi Halgrimsson, Edward Harper, Sir Peter Maxwell-Davies, Helen Grime, David Horne, Sir James MacMillan, Stuart MacRae, John McLeod, Gordon McPherson, Peter Nelson, Alasdair Nicolson, Alasdair Spratt, William Sweeney and Martin Suckling. Audiences are the driving force behind the Ensemble, and its growing outreach and education programme demonstrates its commitment to furthering the reach of contemporary music. 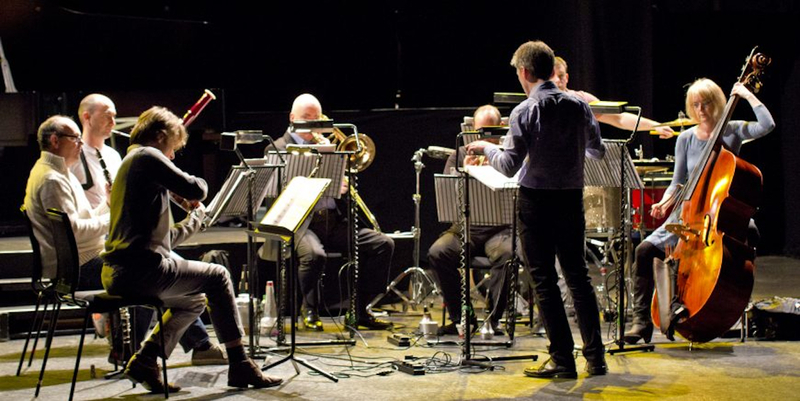 In 2015 the Ensemble broke new ground by becoming the first professional ensemble to simultaneously connect musicians in Edinburgh to London and Italy in realtime. As Hebrides Ensemble celebrates its 25th birthday in 2016, it will launch the next phase of its pioneering digital strategy, which will allow audiences around the world to be part of every performance the Ensemble gives, using live streaming, Twitter feeds and cutting edge digital technology. While Scotland is its home, Hebrides Ensemble performs regularly at venues and festivals throughout the UK and Europe, and is regularly featured in broadcasts for BBC Radio 3. In recent years, the Ensemble has given premieres at the Muziekgebouw in Amsterdam, London’s King’s Place, The Wigmore Hall, Aldeburgh Festival, and Edinburgh International Festival. Among other accolades, Hebrides Ensemble’s outstanding achievements were acknowledged by the Royal Philharmonic Society Awards in 2009, with a nomination in the Chamber Music Category.